NEW YORK -- Many celebrities are stepping in to help the victims of Hurricane Harvey, and now Houston rapper Bun B and music manager Scooter Braun have announced that they are planning a benefit concert to help those affected by Harvey. A representative for Bun B told The Associated Press on Wednesday that the rapper is working with Braun, who manages Justin Bieber and produced Ariana Grande's massive benefit show in June in Manchester, England. The rep said Braun "is actively working on gathering talent and organizing logistics for the event." The rep added that the benefit is tentatively scheduled to air on four national networks on Sept. 12. 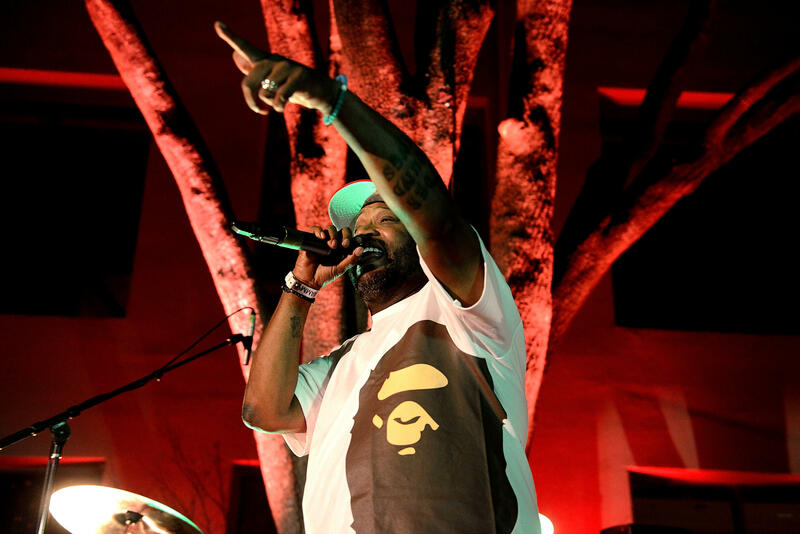 Bun B, one of hip-hop's most respected lyricists, has been a proud Houston entertainer for years. He was part of the Grammy-nominated rap duo UGK with the late rapper Pimp C, launching hits like "International Players Anthem (I Choose You)" with Outkast and "Big Pimpin'" with Jay Z. Bun B has also collaborated with fellow Houston native Beyonce and is a visiting lecturer at Rice University in Houston. Braun, who manages Grande, Tori Kelly and Carly Rae Jepsen, has also worked with Kanye West, the Black Eyed Peas and "Gangnam Style" rapper PSY. Braun also founded School Boy Records. Many celebrities have pulled out their pocketbooks to help Harvey victims in recent days including Sandra Bullock, who on Tuesday donated $1 million to the American Red Cross. Beyonce also pledged to do her part on Tuesday to help her hometown of Houston in the wake of Hurricane Harvey, and other stars, including Dwayne "The Rock" Johnson and DJ Khaled, are helping out by donating to the cause after Kevin Hart "challenged" them to do so. Johnson, Khaled and Hart each donated $25,000 to Harvey relief. Here's how you can help.